Courtney Mann, ETC: Freak out mode and clock numbers and my schedule! HOWEVER I did find these FAB clock numbers! 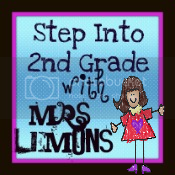 Head over to Step into 2nd grade to download your own! I will post a pic of mine as soon as I print them! So now I'm off to lunch.. Trying to figure out what to do tomorrow with the kiddos. Anyone have any first day activities that are incredibly awesome and care to share with me I would be VERY grateful! This is my first day in 3rd grade too! EEEEkkkk! Like I need another notepad in my life.....negative. So here is my schedule as of today...rough first draft of course! P.S. Just spell checked this in word. Yikes, hate to see all the errors from the past. Forgive those. Please and thank ya! Ahhh freak out mode is def. on for me too!! I have one last day, tomorrow, to do NOTHING and not be stressed! :) Good luck! My mode is more... anxious! Opening week for teachers starts Monday and I am not yet finished with my room or documents. Well, not as finished as I would like to be. Your schedule is chock full! I would love to have 2 hours for math and an hour and half for reading! I think I'll need to fiddle with my schedule a bit this year. I LOVE your Welcome to 3rd Grade Scavenger Hunt!! What font did you use for the title?